During the first part of the term we will be investigating plants and have lots of exciting things planned. We will be growing our own potatoes and onions and possibly other things too! Our role play has been turned into a magical setting, there are lots of strange things inside! A huge emerald castle, some extremely sparkly red shoes, a scarecrow, a lion and a tin man! There is also a long winding yellow brick road....... hmmmm! In the second part of the term we will learn about animals. We will have a trip to the Yorkshire Wild life park and turn the role play into an exciting jungle! Doddington Hall gardens come to us! Welcome to the new spring term! I hope you had a lovely Christmas break and feel ready for the new challenges ahead! Let's hope the nasty sickness bugs stay away this term! This term our topic is all about the weather! We will observe and describe the weather associated with the different seasons. We will look closely at the water cycle and make our own rain in the classroom! Later we will spend time gazing at the clouds and learn the names of them! We will create cloud art and make a cloud in a bottle! We will make wind socks and our own tornado in a bottle! Our learning log challenge will be to observe and write about the weather over a seven day period. In literacy we will be reading some traditional tales and acting out the stories in our new role play corner. We will then write our own stories. Our next sequence of learning will focus on instructions. We will learn how to give and follow instructions! We will make jam sandwiches and pizzas and then write up the instructions for you to try at home! Later we will go outside and blow bubbles and then write up what you need to do for that! Finally we will explore poetry focusing on the senses. We will learn some simple poems by heart and perform them in class. We will then write some of our own! In maths we will be revisiting money, handling data, how to count in 2's, double numbers and learn which numbers are odd and which are even! We will practise recording addition and subtraction number sentences and solve lots of cheeky problems set by Mrs Yeates! Spellings will be sent home weekly, do encourage your child to revisit the old spellings and revise them again and again. If I don't see them in their writing I will resend them! This is just a snap shot of the activities planned for this term! You can learn so much through play, just check out our photographs to see how much fun we have in Year 1!! Don't forget you can email me anytime if you need any help or have any worries. Winning the lunch time challenge! Cool moves in p:e with the dance coach! Finding possibilities! Animals in the ark! Welcome to Autumn term 2! I hope that you have all settled into the new year group and have enjoyed all the new challenges. 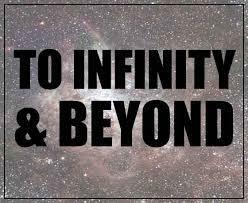 This term our theme is "to infinity and beyond!" What do you think this will involve? Well here is just a hint of what we will be doing over the next few weeks!! We will be exploring the solar system and our new role play is very exciting and we hope to have lots of adventures travelling through space. In literacy we will be using our investigative skills to learn more about the solar system and make our own information books. As part of our non-fiction unit of work we will also travel through time in our history lessons and learn about the Great Fire of London and look at what happened in history back in 1666. We will keep our own diaries and recount the important events that took place such a long time ago. We will then look at stories with repeated patterns and learn a repeated refrain orally and later adapt it to create our own sentences. After that we will learn some more poems with a focus on pattern and rhyme. In our physics lessons our science investigations will help us understand why it gets dark earlier in winter and why the sun is so important to us. We will use the correct scientific vocabulary and talk about the land, atmosphere and space. We will imagine what an alien would make of our planet and make a rocket to enable him to return home. We will also consider what materials would make good alien underpants to keep him warm!! In our maths work we will continue our hard work with numbers up to 100 and beyond by counting, adding and subtracting. We will be doubling and halving numbers and shapes, learning about time and investigating the properties of shapes. We will learn how to organise data that we generate by making pictograms and recording in tables. As part of the theme on light and dark we will create light and dark pictures and create our own music reflecting the seasons. We mustn't forget that this time of year is also important for recognising the different celebrations, festivals and events that take place around the world. We will learn more about the Jewish and Christian Faiths this time and begin to understand that some people may have different beliefs from our own and that it is important to respect, value and acknowledge differences in our communities. As part of this we will learn about remembrance day and how some people choose to acknowledge what happened in the first world war and subsequent wars by the making and wearing of poppies. I will introduce the learning logs this term and look forward to seeing how creative the children will be with their home challenges. Parents' evenings are next week and I am looking forward to sharing your children's successes with you all. Art work: adding lines and colour! This term our topic is 'Marvellous Me'. In science we will be looking at the different senses: focusing on what they are, how our body parts work and what can be done to help those with an impaired sense. As part of this we will learn about the history behind the use of Braille. In literacy we will begin by looking at stories from a familiar setting, focusing on the stories 'Little Penguin Lost' and 'Not Now Bernard'. We will talk about the beginning, middle and end of stories and practise writing our stories. We will learn how to leave spaces between words and when to use capital letters and full stops. We will then explore signs, lists and labels. We will watch clips from 'Toy Story' and see how signs and labels are used, before making our own. At the end of this block we will read the story 'Billy's Bucket' and decide what to put in our own buckets. In the last two weeks we will learn new songs and explore repetitive poems. We have an interest in worms and creepy crawly things in class, thanks to the lovely warm summer, so look out for some wiggle worm poetry! In maths we will begin by looking at the concept of number and practise our counting skills. We will learn how to generate our own number sentences and how to record our work carefully. We will also be learning about money and how to find the correct coins to pay for toys in our shop. Some of us will be learning how to work out the correct change as well! We will then learn how to use the correct language related to time and to sequence events. We will look at our clocks and learn how to read o'clock and half past the hour times, some of us will also learn how to tell the time to the quarter hour. In art we will continue to develop our skills in drawing lines and making observational drawings. We are very fortunate to have weekly coaching sessions in P.E from our great team of coaches, who will continue to help us develop in a variety of multi-skills activities. As science co-ordinator organising science week is one of my most enjoyable tasks. Having a whole week of science really allows the children to explore their world without interruption. As a school we really value working in a cross curricular way. Children had opportunities to think scientifically, to observe, predict and record their ideas. They performed simple tests and evaluated their findings. 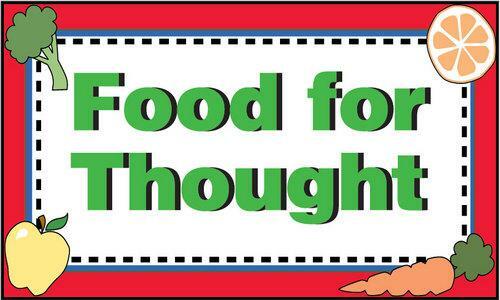 This term our focus was "food for thought." I devised lots of activities for each year group. I wanted each class to look at changing states and so we investigated how we can change water into ice, how to make ice cream in a bag, how to make our own edible snow and rescued little toys and treasure trapped in giant frozen hands! We made jelly and custard mixtures and explored how they felt. We investigated what happened when we heated different foods. We made play dough, biscuits, cakes and melted chocolate buttons on our tongues! I think you will see from the class photographs that children had a wonderful time.